Annie Duke, Mark “P0ker H0” Kroon, and other poker pros will be playing in the OFC Ante Up For Africa Charity Tournament to be held at UltimateBet.com on Saturday, September 5th, 2009 at 2pm EDT (GMT -4). The $1 + $10 tournament aims to raise money and bring awareness to the Ante Up For Africa organization. The winner of this tournament will receive a World Series of Poker Academy admission courtesy of WSOP Academy, along with $500 for airfare expenses courtesy of UltimateBet. Bounties will be placed on Annie Duke, Mark “P0ker H0” Kroon, and other UltimateBet Pros. Players who eliminate any of the poker pros will win a one year PPA Online Premium Membership to the Poker Players Alliance. “We are honoured to be working with the entire UltimateBet Team and WSOP Academy. 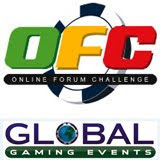 They have all been so supportive in our efforts to bring attention to this very special cause,” commented Jason “Wolf” Rosenberg, President of Global Gaming Events (GGE) which owns and operates Online Forum Challenge. The charity event kicks off the Online Forum Challenge Ultimate Aruba Experience, in which one player is guaranteed to win an $8,500 Aruba Classic Package. Full details for the Ante Up For Africa Charity Tournament and the entire tournament series are available at http://www.ofcaruba.com/.